Radioligand binding assays are seen as the gold standard for measuring the affinity of ligand-binding to a target receptor, due to their robustness and sensitivity. There are three types of radioligand binding assay: competitive, saturation and kinetic. Competitive radioligand binding assays are used to determine the relative affinities (Ki values) of test compounds for binding to a receptor site in a membrane homogenate or cells. They are performed by incubating a range of concentrations of the unlabeled test compound with a fixed concentration of radioligand and measuring the IC50 (nM) of the test compound to competitively inhibit binding of the radiolabeled ligand to its receptor.  Our standard study design is for ten concentrations of the unlabeled test article over a five-log unit range, duplicate determinations. Saturation radioligand binding assays allow determination of both the number of binding sites, Bmax (fmol/mg protein or sites per cell), in the tissue or cultured cells and the dissociation constant, Kd (nM), of the radioligand to measure affinity. They are performed with increasing concentrations of the radioligand to directly measure the level of receptor binding. Our standard study design is for eight concentrations of the labeled test article over a two-log unit range, duplicate determinations. Kinetic radioligand binding assays are used to determine the association and dissociation rates of a radiolabeled ligand from a receptor, to provide additional information for optimising assay conditions. Our standard study design is for eight to twelve time points to obtain association or dissociation rate constants, duplicate determinations. There are two main variations in protocol: filtration assay or scintillation proximity assay. Filtration assay protocol is to incubate the membrane homogenate or cultured cells with both the radioligand and the competing test compound (if any). Once equilibrium has been attained, receptor-bound radioligand is separated from free (unbound) radioligand using a 96-well filtration apparatus. 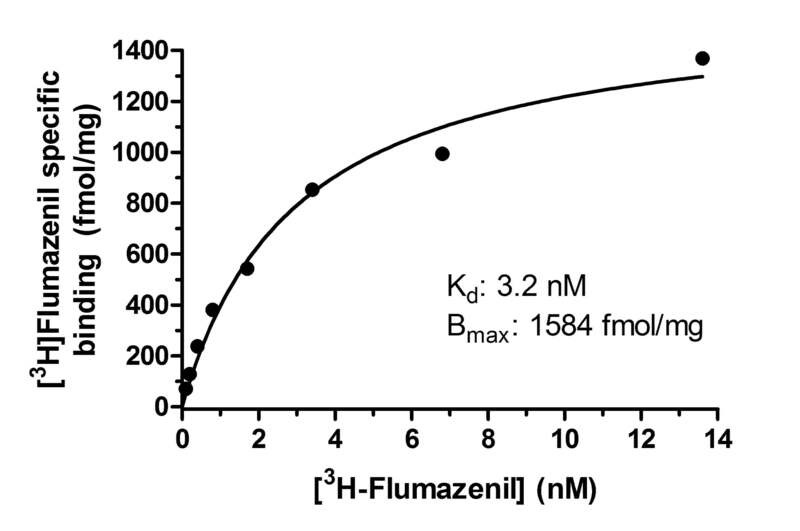 The receptor-bound radioactivity trapped on the filters is counted and the results plotted to obtain IC50 and Ki values for the test compound, or to determine Bmax for the receptor levels. Scintillation proximity assay protocol does not require separating bound from free radioligand. The enzyme, receptor or cultured cells are absorbed onto the surface of scintillation proximity assay (SPA) beads. The receptor-coated beads are then incubated together with a radioligand and the competing test compound (if any). After equilibrium has been reached, light emission from the SPA beads is counted using a 96 well plate-reader. Radioactive beta particles emitted on, or close to, the surface of the beads give rise to light emission from the beads. Those emitted far from the bead are absorbed by the solvent. The results are plotted to obtain IC50 and Ki values for displacement of the test compound by the radioligand. Displacement of [3H]SR141716A binding to CB1 cannabinoid receptors in a brain homogenate by the cannabinoid agonists AM2233 and WIN55212-2. Displacement curves are shown fit to a two-site model with Ki values of 0.08 nM and 17 nM for AM2233 and 2 nM and 43 nM for WIN55212-2. Specific binding of a radioligand for the brain BZD receptor in human post-mortem brain tissue. Binding was to a single saturable site with Kd 3.2 nM and Bmax 1584 fmol/mg protein.